18+, T&C’s Apply, New Players Only. Dunder may be one of the newer names within the industry, having been founded back in 2016, however their eye-catching casino platform has already attracted a good amount of customers. Another reason behind their success has been their generous welcome bonus, which offers something unique when compared to their competition. 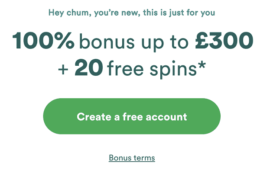 New customers on their site can earn up to £600 worth of bonus funds, along with 200 free spins. So for those interested in this promotion from Dunder, let’s take a closer look both how to claim it and the terms and conditions surrounding it. The Dunder bonus comprises of four parts. On your first deposit, Dunder will double your money up to £50, as well as providing 200 free spins in Starburst – 20 spins daily for 10 days. On your second deposit, Dunder will 50% extra funds, up to a maximum of £100. On your third deposit, Dunder will add 25%, up to £150. On your fourth deposit, Dunder will add 25% extra, up to £300. Winnings from both bonus funds and free spins must be wagered at least x25 before withdrawals can be made. Slots will provide a 100% contribution toward meeting that 25 times requirement, but table games only come in at 10%. Register a new account with Dunder via desktop or mobile. 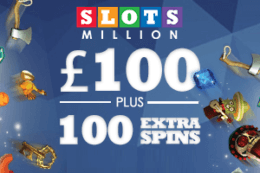 Make an opening deposit of at least £10, with the casino 100% matching this fee, up to £50. The free spins must be activated from the “My Dunder” page. 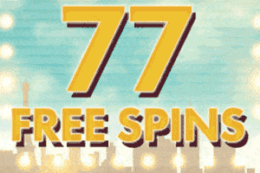 Free spins that hasn’t been activated within 24 hours after receiving them will vanish. Winnings from free spins given upon your first deposit have a wagering requirement of 25 times. 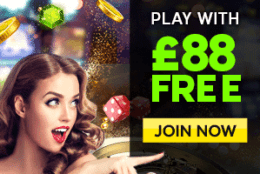 Up to £600 bonus and 200 free spins available. Requires four deposits in order to claim maximum bonus. Both bonus funds and free spin winnings must be wagered x25 or more before withdrawals can be made. The Dunder welcome bonus certainly offers something a little different compared to the industry standard, with customers who are registering with the idea of their casino being their long-term platform able to gain some significant help along the way. 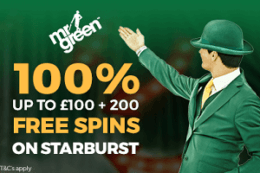 With just four opening deposits, £600 worth of bonus funds are available, along with 200 free spins, which can unfortunately only be used on the Starburst game. Is a promo code required at Dunder? No. 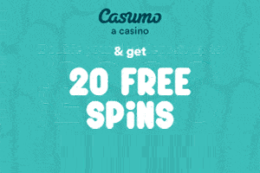 Customers are not required to enter a promo code upon registering for a new account at Dunder, however they must activate their free spins within 24 hours of depositing. 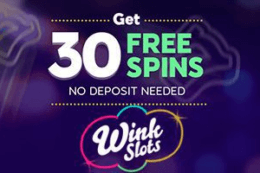 Yes, customers must wager their bonus funds and free spins earnings at least 25 times before any withdrawals can be made. Can I test out Dunder before registering? Absolutely. You can try out casino games at Dunder before registering if you live in the UK. Their practice mode is perfect for getting used to their platform and seeing if it suits your needs and wants.